Want to be able to take care of blackheads and eliminate the battle dealing with breakouts, acne, and oily skin? The question arises, what the heck is a comedone? What is the Comedone Vacuum Pro™? Our device can be used to remove blackheads, acne and clean the face deeply. it is suitable for treating dry skin, sagging skin, dull skin and also wrinkles. Vacuum function cleans dirty pores through suction and increases blood circulation in the skin. 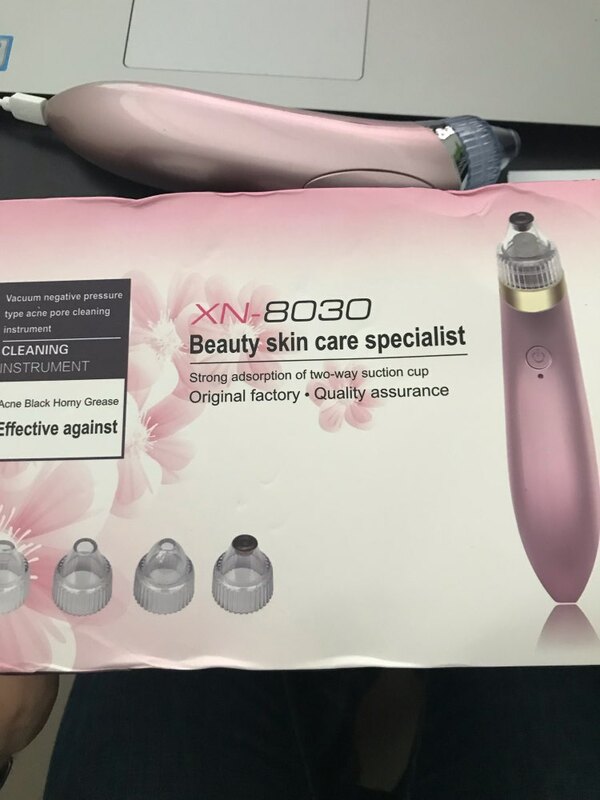 Comes with 4 changeable beauty heads, which can offer different functions and offer a deeper clean for your facial skin. We truly believe we make some of the most innovative products in the world, and we want to make sure we back that up with our risk-free ironclad money back guarantee. With Black Out Deals, there is absolutely ZERO risk in buying something and trying it out. If it doesn't fit, it breaks, you do not like it or you've changed your mind simply send it back to us and we'll cheerfully refund you every penny. Everything as described. My remarks: 1) Please be careful and dont use the suction too many times on specific area. You'll get bruise, and there is possibility of broken blood vessel, too. 2) Results are better than removing blackheads manually by hands but obviously if your pores are big and they dont shrink - they will be visible anyway. In photo you can see my nose BEFORE the blackhead removal and after facial steaming (you dont want to miss that step, results will be worse) and the nose AFTER using the product. 3) Vacuum cleaner is made from solid, thick plastic. It feels expensive, though it really isn't. That is great for me and makes me want to use it more. 4) I also used it on my lion's wrinkle - sharp line wasnt my concern as much as the dent in skin which started to make me look like i furrow my brows at ppl. And I have to say that using vacuum with oval end really did the job and now my lion wrinkle is barely visible with no makeup and not visible at all in it. I just love how versatile this product is. I use it for cleansing face, removing dead skin, keeping my face young and in good shape and recently i even started to plump my lips with it a little. It works very well too, but its important to use the smallest suction power possible and not use it on wet lips. Came quite fast, I've always had a rough time with rough/uneven skin and bad pores, but this product helped a ton. I LOVE the different tops, they're all so helpful. Unbelievably, this thing really does work exactly as promised!!! Super strong suction. Dont hold in one place too long unless you want to be bruised!!! thank you. My young teenage daughter feels more confident at school now that her pores are so much less noticeable. She said her skin feels so much smoother and looks fantastic! Thank you! It’s very easy to use and clears up all my blackheads. It works very well! 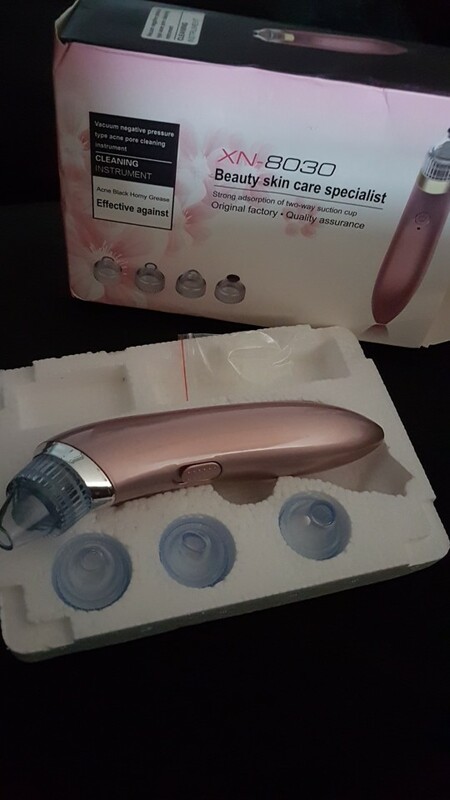 Very fast shipping and It is identical to the description and works amazingly. Thank you Black Out Deals. . So far I tried once and it took out more than the face masks ever did! I will update more later. Very very fast shipping!